I just had the best weekend crafting ever! I finally had the opportunity to take a card class with Heather Telford from Ottawa, Canada. She is a marvelous card making artist. She is a member of the Penny Black Design Team and never disappoints in their release blog hops. Her website is loaded with inspiration, tutorials, and wonderful tips. Check out her Bit and Pieces website at https://cards.heathertelford.com. And if you are ever in the Ottawa area make sure to see if she has a class running, you will not be disappointed. Here are examples of the lovely cards I made during her class. The wonderful things she taught us was different ways we could do this at home using stamps you all ready have. When I get back from my holidays, I am going to implement her techniques in my card making. Note: I did not discuss the “how to” techniques of the project out of respect for the teacher. This project was based on Heather Telford’s work and taught to us by her in a classroom environment. The stamp is called Shade Canopy by Penny Black. This week we challenge you to make a Father’s Day or Male themed card. 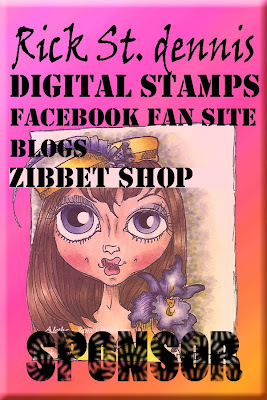 I made two versions of this theme using Whimsical Dancing Robot ~ Dancing Dave Image No.237 by Lizzy Love Oddball Art Co. I coloured the images using my Copic Markers. the sentiments were computer generated. Card 1 uses the full digi stamp. I included the frames and made this as a one layer card. Card 2 I enlarged and cropped the image. I layered it on the card front using grey, black and white card stock. Please support our sponsors. Without them, we would not have our weekly/monthly prizes! For this challenge we are celebrating the birth place of Jesus. I made a very simple card. I started with blending various shaped of orange using my Tim Holtz distress Inks and the round head blending tool. The silhouette was created using a die from Taylored Expressions called, “Nativity Border”. I used black card stock to accent the scene. This card took less than 10 minutes to create. This week’s challenge is Christmas. It is never too early to start your Christmas cards. I made a “turtly” adorable card using Christmas Turtle by Rick St Dennis MFA. I made a 5 x 5 square card. I coloured the digi stamp with Copic markers, fussy cut out the stamp, then layered it on the card front using various papers from my stash. I added Stickles to the turtle’s fur hat, Christmas ornament and tree top star. Please support our sponsor’s who graciously provide our weekly prizes. The Simply Create Too team is asking you to make a Thank You card. One can never have enough thank you cards on hand, so I actually made five variations of that card using the Stampendous Cling Stamps Set – BUILD A BOUQUET. I decided to crack open my Derwent Watercolor Pencils. I stamped all the leaves, vases, flowers and butterfly with Versafine Tuxedo Black on Neenah Solar White 100lb card stock. I coloured the edge of each image then with my waterbrush, watercoloured the images. I fussy cut all the images and arranged on the final card. I use Stampin Up Dimensionals to pop up different parts of the flowers.